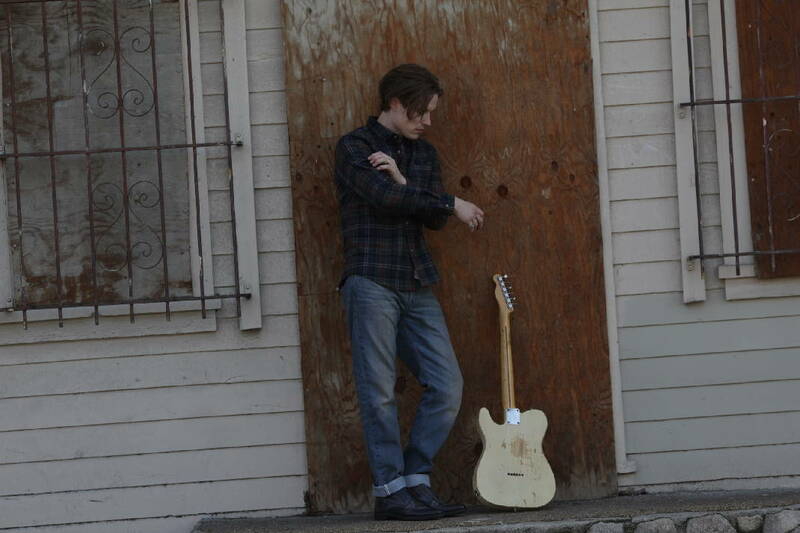 › Where: Walker Theatre inside Memorial Auditorium, 399 McCallie Ave.
Jonny Lang says his new album, "Signs" is an example of just letting an album be what it wants to be musically. "I don't know what will come next," Lang said in a recent phone interview. "But yeah, this one was just the record that felt right in this season of my life." "Signs" is the kind of album that's likely to please a lot of longtime fans who first heard Lang when he was in his teens and releasing the albums "Lie To Me" in 1997 and "Wander This World" a year later. Fans in the audience Friday night, Feb. 23, can judge for themselves when Lang's tour stops in Walker Theatre. "We're doing five or six (new songs) right now at the moment, depending on the night," Lang said of his set list. "And we want to try to put stuff in from previous records, too, that folks kind of want to hear. So we do about a two-hour show. To fit everything in is a little challenging, to pick the songs. But yeah, we've been doing a lot of new stuff." With his fiery blues-rock sound, accomplished guitar playing and a rough-and-tumble singing voice that sounded decades older than his actual age of 15 at the time, Lang was touted as the next Stevie Ray Vaughan. "I think there are a lot of people who want us to make our first record over and over again. But it's obviously not the way of things," Lang said. "I think it made some of those folks kind of happy to hear just a more raw approach to the music (on "Signs")." The fans Lang mentions probably wondered if they would ever again hear another Lang album made up primarily of hard-hitting blues rock. That's because with the albums that followed "Wander This World," the singer/guitarist's music took a notable turn. Beginning with third album, 2003's "Long Time Coming," Lang began to incorporate strong elements of soul, funk, Motown and gospel into his sound, and by the time of his previous album, 2013's "Fight For Your Soul," blues-rock had taken a back seat to more of a soul-based sound. So the turn back to blues and a more guitar-centered sound on "Signs" will come as a surprise to many fans. But the shift came about naturally. "I just kind of got re-inspired, I don't know if re-inspired (is the right word), but I had been listening to a lot of Howlin' Wolf and Tom Waits, just like that open room sound, like live in the studio, not too producer-refined stuff," Lang said. "I was like 'Man, I think that should be the approach on this next (album).' It just felt like the right way to go. But that was pretty much the only thought that I had or guideline that I had going into it. The songs themselves, the style of the songs, wasn't something I tried to guide in that direction. It was more from a production standpoint, the approach I wanted to take." Contact Alan Sculley at alanlastword@gmail.com.